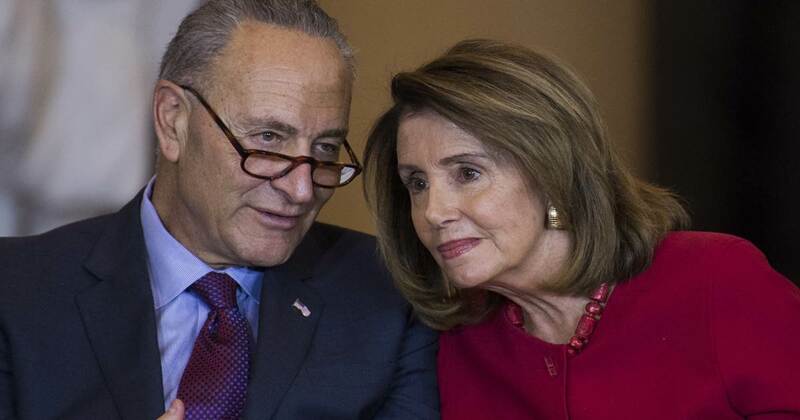 The Hill: House Speaker Nancy Pelosi (D-Calif.) and Senate Minority Leader Charles Schumer (D-N.Y.) on Sunday called for the public release of special counsel Robert Mueller’s report, arguing that the attorney general’s summary to Congress raised further questions. Barr on Sunday delivered a letter to Congress summarizing the key findings of Mueller’s investigation into the Trump campaign’s ties with Russia. According to Barr’s letter, Mueller found no conclusive evidence that Trump or his team conspired with the Russian government to interfere with the 2016 election. The letter also says Mueller made no conclusion on whether Trump obstructed justice. But Democrats were also quick to seize on some of the findings outlined in the letter. Though the letter said Mueller had not reached a conclusion regarding obstruction of justice, Barr and Deputy Attorney General Rod Rosenstein had decided there was not enough evidence to press obstruction of justice charges against Trump. That decision led to immediate calls for the report to be made public. Some Democratic presidential candidates, including Sens. Cory Booker (N.J.), Elizabeth Warren (Mass. ), Kamala Harris (Calif.) and Kirsten Gillibrand (N.Y.), pointed to it as a reason the Department of Justice should release the full report. “The American public deserves the full report and findings from the Mueller investigation immediately — not just the in-house summary from a Trump Administration official,” Booker tweeted. Their statements provide a hint of the political battle to come as calls mount for more information regarding the report from the Department of Justice. Trump’s lawyer Rudy Giuliani said on Sunday that he supports the report being released publicly as well. “We would all like it to happen because if it doesn’t happen, somebody is going to say there is something in there,” Giuliani said on CNN. all those RADICAL LAWLESS COMMUNIST DEMORAT SCUM needs sent to GITMO AS THE CRIMINALS AND TRAITORS THEY ARE. The monthly award goes to the person that names one Democrat that understands anything. This charade is over and all BUT the left know it, understand it. It’s Trump’s turn to return the favor. I can only hope, for their sake, that they’re allowed internet in Gitmo so they can further their campaign/s during lock-down… “until they’re all hanged by nooses” (per Hillary).